Discussing time in fiction often leads to an interesting conversation. 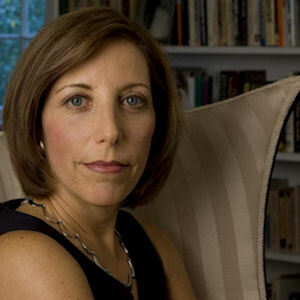 Writers have such unique perspectives of time’s role in fiction, and they have creative ways of using time to enhance their works.We spoke with Fairfield University’s MFA professor Rachel Basch, author of the novels Degrees of Love and The Passion of Reverend Nash (which The Christian Science Monitornamed one of the five best novels of 2003). Rachel shared her opinions and expertise on the use of time in fiction writing. Q: In The Passion of Reverend Nash, you designate time by seasons and by the church’s holy days (Lent, Easter, Pentecost, and so on) rather than dates on a calendar. Why did you choose to use those time indicators?A: That was a character-driven decision. I think that the most important aspect of fiction writing for me is trying to do my best to get at that character and for the character to give up as many of her secrets as possible. There, I was just trying to approximate the character’s consciousness. Clergy have told me that you really become your role, and your identity is very wrapped up in your role. For my character, there was no other personal identity for her right at that moment in her life, and it seemed natural for her to see time in terms of seasons. Q: When you first conceptualize a story or an idea, is time one of the first things you consider? Why or why not? A: No, I don’t think of time. When I think about a story, it’s always about character—what’s happened to the character; what he/she is trying to figure out, or trying to get released from; what sort of things are going to befall the character. Then, you start dealing with the period of time. I think you have to have a great deal of authority to manhandle time, and I have not grown into that yet. I wish I could. I also think I write a kind of very realistic fiction, emotionally realistic fiction, so a lot of the conflict unfolds in scenes with dialogue. It may be a little closer to dramatic writing in that way. In between acts, a lot of time might go by, but in a given scene, you have to be mostly in real time, unless you’re dealing with something very experimental. Q: When you think about the character first and, subsequently, what happens to them over what period of time, is that something you let form organically? Or is that something you think about before you begin, as if setting restrictions of time? A: I’m going to rephrase your idea of restrictions because I actually think this is very important. One thing I do think about is framing, and that does involve time. I say this in my workshops all the time: A novel is nothing more than a series of scenes, kind of like beads strung on a necklace, one after the other. I do think about structuring the novel in regard to what scenes I want to have, where I will begin and end them, and what sort of cuts I will make. I also consider what will be that “white space” in between scenes. How much time am I going to let pass in the off-stage stuff? Because actually I think it’s that white space—the negative space—where what’s happening in a novel is really important, too. But that brings up another question. If we’re talking about time, the other factor that you have to think about when you’re writing with time has to do with pacing. There’s a way for time to feel in a novel, and that’s something I probably am not really conscious of until I’m well into a number of rewrites. I try to get a feel for how quickly or slowly things are passing, and that you can really control. That’s something that you learn, I think, over time, just by trial and error, like driving a little tiny motoAoat where you have to learn how to get a feel for the throttle. We all have read these short chapters at the end of a novel. We’ve all read thrillers that do that. They cut back and forth between two or three points of view, and you are reading very, very quickly to get to the end. So, there are all sorts of things you can do to manipulate the way time is elapsing, and the way it feels to the reader. Q: Do you have a favorite way of playing with time when you’re writing? A: One thing I try to be aware of is what the character is feeling at any given moment. You have to be like the artistic director on a film where you have to think about the tone, the mood, the set design, and what all of it comes together to create in this moment. All of those elements contribute to what that reader is feeling. Q: Looking now at your novel, Degrees of Love, I noticed that you chose to tell about the burning accident in flashback. The book opens with the case worker coming to do an interview at the home. Is this a signal that the emphasis of the story is on the aftermath of the burning? A: Yes. In graduate school, I had a professor who said, “Accidents in and of themselves don’t mean anything.” So, without the context of other actions in that story, that accident is meaningless. And the other piece having to do with why I started where I did has to do with “in medias res,” beginning in the middle of things. Begin as close as possible to the end of the story. That’s a short story rule. Even with a novel, you need to begin as close to the conflict as possible. Here the conflict is not the accident; it’s the accusation of child abuse. I wanted to get as close as possible to that interview with that social worker to start the novel. Q: Why did you choose to cover a three-month time span in Degrees of Love? Does that have to do with the amount of time it takes for a burn to heal, or the emotional healing of the parties? A: Actually, it was probably more of a legal thing—how long would it take for everything to go through the system. I did a huge amount of legal research, and I also then had to hire a lawyer to read through everything to make sure I got it all right. I was living in Connecticut, and when I was researching the book, I made the mistake of researching everything according to the laws in the state of Connecticut. I set the novel in Massachusetts, and these are all state laws. I ended up having to change a lot of things at the eleventh hour. I do have a little bit towards the end of what happens with the oldest kid. I considered how long would it take for this kind of thing to bubble up, and that affected the timespan as well. Q: This novel also ends on a Jewish holy day, Yom Kippur, the Day of Atonement. Lily is making a special cake and has the family over to celebrate. Is this holiday meant to symbolize Lily’s coming to terms with her own guilt and forgiveness? A: The book is very much about guilt. Everything I write about you could reduce to one theme: To what degree are we really responsible for one another? Certainly guilt was a huge theme in the book, and I guess forgiveness. There’s a tremendous amount of anger and blame on the parts of both the husband and wife there. Lily has negated her own upbringing in a way, so the Jewish holiday at the end is kind of her reasserting herself and reconnecting to where she comes from and who she is. Q: What do you believe is the overarching role of time in a story? A: Well, for some writers, time can be a character. It can be the main element in a story. In Remains of the Day, time is actually one of the characters. The whole story is the butler looking back. In a historical novel, that’s just an even larger question. Really, there’s something else much more complex happening, maybe subconsciously on the part of the reader. Everything we’re reading that’s taking place in the past, we’re also overlaying what’s happening in the present and sort of measuring that up against each other. Time is one of the arrows in your quiver for creating drama. Things have to happen by a certain time. You have to manipulate time in a certain way. It’s equivalent to mortality. Without an end to the story—if you weren’t going to die—there would be no drama. Q: What would you say is the most underestimated power of using time in a story? A: A mood can be created by an effective use of time. There are two books I especially love to read because I feel like I fall into them, under some spell, and it has to do with time. One is Evening by Susan Minot, and that book is really interestingly structured. It’s basically a woman on her deathbed, falling in and out of consciousness (I guess that’s what we’re supposed to think). She has these extended memories of one weekend in her young life in her 20s when she attended a wedding in Maine, and she met this man and fell in love with him. It’s very short, maybe 36 hours, and it is mesmerizing. Then, you’re brought back into her bedroom where she’s dying. The nurse and her children are in and out, and all the present time, in some way feels the same. Because in the present moment where she’s dying, she’s not really lucid, and the evocation of the past is very realistic. Those scenes are very concrete, so the past is actually more present than the present, and it’s just really well done. Of course, as the reader, you never want to come back into that deathbed room, you want to stay in the past just the way the dying person does. There’s a mood created by the use of time. Ann Patchett does the same thing in Bel Canto. There, it’s a hostage situation, so there’s a container for this novel. It begins the day they’re all taken hostage in this embassy in some unnamed South American country, and it ends when the hostage crisis is over. I think she starts saying how many days or months it’s been, and that’s how the time is marked. She tells you right in the beginning what’s going to happen at the end; she flashes forward. But there’s this unreal, dreamy mood. The whole world is this embassy, and this hostage situation becomes some kind of almost alternate reality, even though it’s a realistic novel. There’s a mood to the way time passes. These are people trapped in a mansion, where everything’s been removed from the way daily life would proceed, so time is completely different. I’d say time is actually one of the characters in the book. The only way to mark time is by sunrise, sunset, and then at some point preparation of meals, but the mood of that book is really one of the great achievements. Q: What do you think new writers have the most difficulty with in regards to time? What would be your advice to those writers? A: Another great question. Recently I read somewhere—I can’t remember where—that it’s great if you can write great prose, but really, if you can do anything for a student, it’s to try to teach them something about storytelling. I think you do need to get some basic elements of dramatic structure down, and that has to do with time. In very new writers often there isn’t enough urgency. There has to be some urgency, some consequence brought about by time constraints or something else. I think often, our impulse to write, is not always dramatic. What we want to do is get our side of the story told, express ourselves, but if it’s not dramatic in some way, it’s not going to feel meaningful. Now that I said all that, I can think of a bunch of novels in which not enough happens, and time seems to go on and on and on, and still they’re great, great novels that we love to read. I think that’s more difficult to pull off. My advice always for writers is – and this isn’t going to maybe relate to time – but at some point fairly early in the process, you do need to ask yourself this question: Why am I writing this story? And there are a number of ways to cut across into that question. Some questions you can ask yourself are: What do I want the reader to feel? What’s the front line from which I’m reporting? What is it I’ve really come to say, that only I can say, that only I know? That does not have to do with content. I’m not talking about: Oh, I need to tell a story that’s never been told before. It’s: What’s my take on this story that hasn’t been exposed before? That hasn’t been brought to the light of day? What is it that I know that nobody else knows? And I think that’s true for everybody. Not everybody can articulate that, but I think everybody has that angle of perception that can bring something to light for an audience, a reader, a listener. I think every human’s experience is valuable in that way. If you’re driven, because you’re an artist, to reveal that, expose that, share that, that’s an act of communion. That’s why you write or why you make art, but I do think you need to drill down to what it is that only you know. So that means being really honest with yourself about what your own experience and perception has been. The writer’s job is to stop time and make story out of it, to give meaning to what’s happening. Sometimes, it’s just as simple as just bearing witness. Rachel Basch is the author of two novels. The Passion of Reverend Nash (W.W. Norton) was named one of the five best novels of 2003 by The Christian Science Monitor. Degrees of Love (W.W. Norton, Harper Paperbacks) was translated into Dutch and German and was a selection of The Hartford Courant’s Book Club. Basch’s non-fiction has appeared in Parenting and on The Huffington Post, and she has reviewed books for The Washington Post Book World. Basch was a 2011 MacDowell Colony Fellow. She recently received the William Van Wert fiction prize for an excerpt from her new novel, The Listener. She currently teaches in Fairfield University’s MFA Program and in the Graduate Liberal Studies Program at Wesleyan University.